CanTravNet - the Canadian Travel Medicine Network - is a network of clinical experts in travel and tropical medicine from across Canada. Our mission is to support the surveillance and detection of travel associated illness among Canadians, and to provide a platform for communication and data collection among specialists in the field. Our goal is to build and strengthen a multi-disciplinary network of qualified experts in the fields of travel and tropical medicine, with recognized competence in the clinical diagnosis and management of illness in the returned traveler and with expertise in the detection, identification, and management of imported infections. CanTravNet is an initiative of the International Society of Travel Medicine (ISTM), in collaboration with the Public Health Agency of Canada (PHAC). The core sites are members of the GeoSentinel Global Surveillance Network, a worldwide communication and data collection network for the surveillance of travel related morbidity. 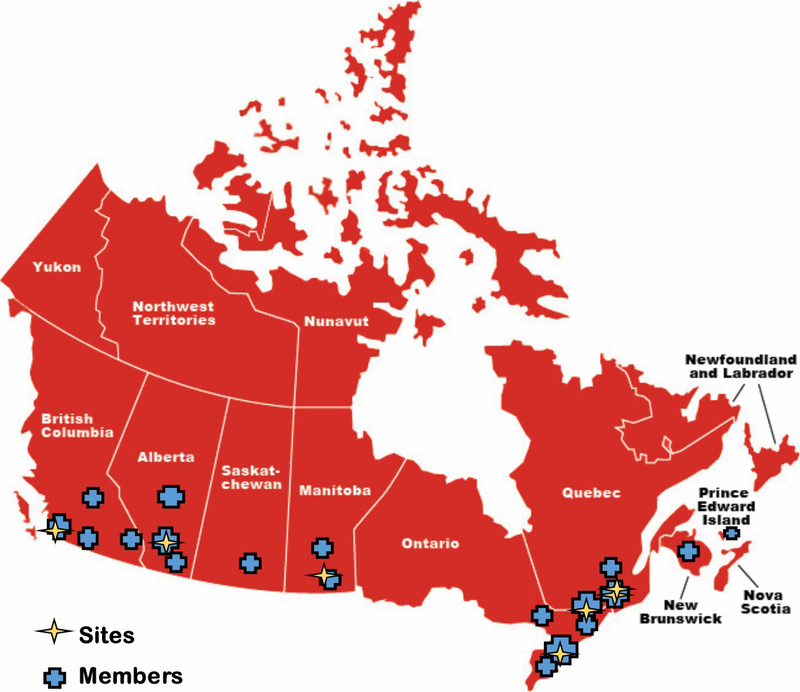 Membership in CanTravNet - either as a Core Site or as an Affiliate Member - is automatically included with your membership as a GeoSentinel Network Site or GeoSentinel Affiliate Member. For more information on GeoSentinel membership and to access membership applications, please visit the GeoSentinel home page. Our network was founded in 2012 under contracts between ISTM, the Public Health Agency of Canada, and the University Health Network of Toronto as the coordinating centre.